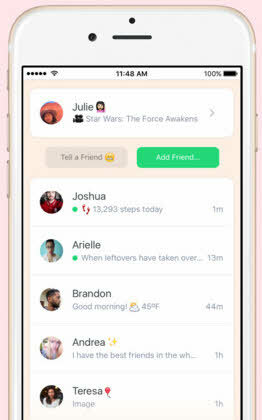 Peach is a new messaging app from Dom Hoffman, the founder of Vine and it lets you find friends and upload gifs, photos, videos and status updates. lightbulb – discover new ideas every day. 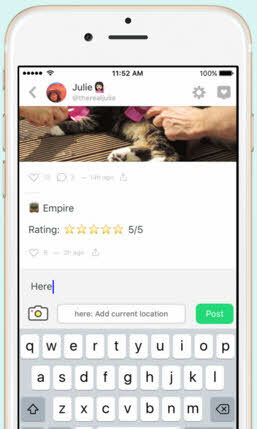 shout magic word – To write a few words (+ emoji) in BIG letters on a background color. Draw – to post a doodle or sketch. Song – to share whatever’s playing right now. Other useful magic words are gif, here, goodmorning, goodnight, battery, weather, move, meetings, safari, dice, time, date, movie, tv, and game. With more on the way.